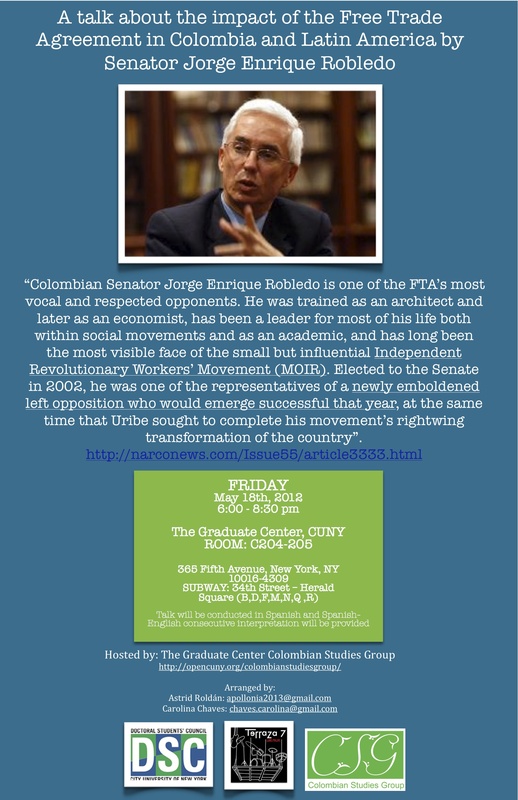 The Graduate Center's Colombian Studies Group is helping to sponsor this event at the GC. Human Rights in Magdalena Medio: A talk with human rights defender Lilia Peña Silva. Please note that the correct date is Monday, November 4, 2013. The time is 6:00-8:00pm in Room C204-205 at the GC.